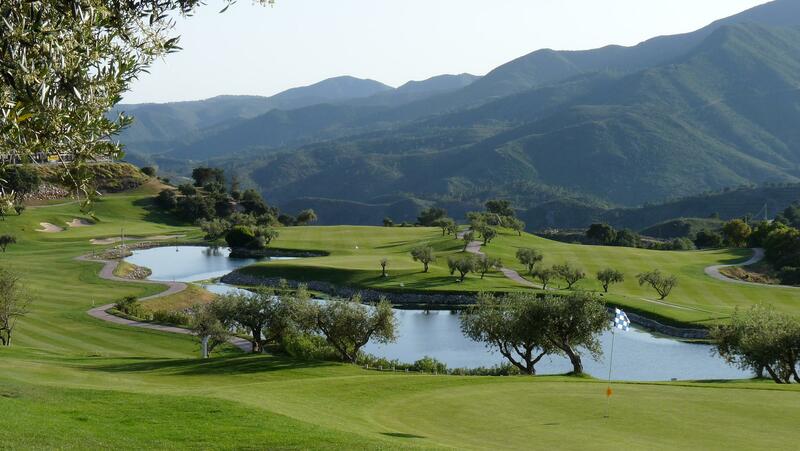 Alhaurin golf also offers a variety of holes including five par threes, five par fives and 8 par fours. Ideal and challenging enough for golfers of all abilities. If you like holes with water, you will not be disappointed. 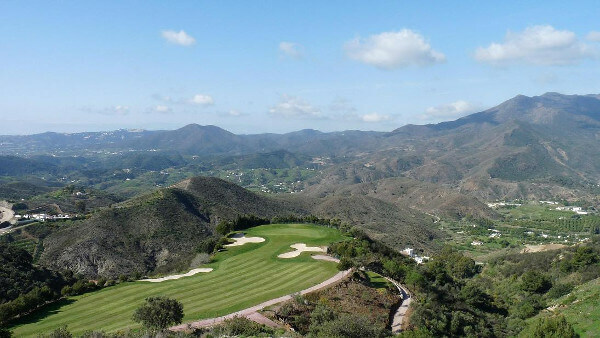 Alhaurin golf offers three holes in which water comes into play along with a strategically placed selection of bunkers which guard many of the greens. For those with an interest in horticulture, you will be interested to know that the course is lined with typical Mediterranean trees including pines, Spanish oaks, orange trees, palms, cypress and olive trees. Other shrubs include thyme and rosemary. If you want to keep your score down, best avoid the trees altogether! 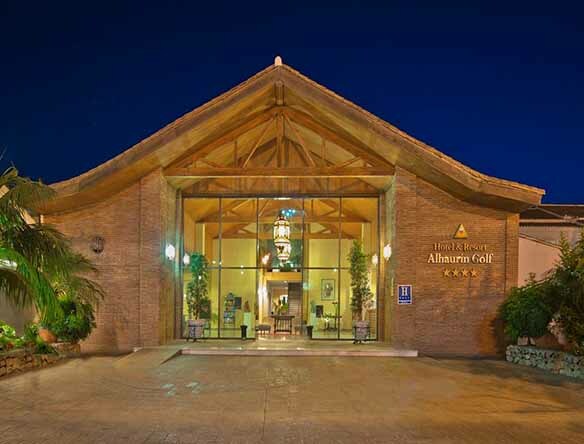 Alhaurin Golf also offers a lovely natural grass driving range, chipping green with bunkers, a practice putting green and also a nine hole par three academy course. If you are visiting the Costa del Sol for a golf break this year, we fully recommended that you plan a trip to this stunning golf course. 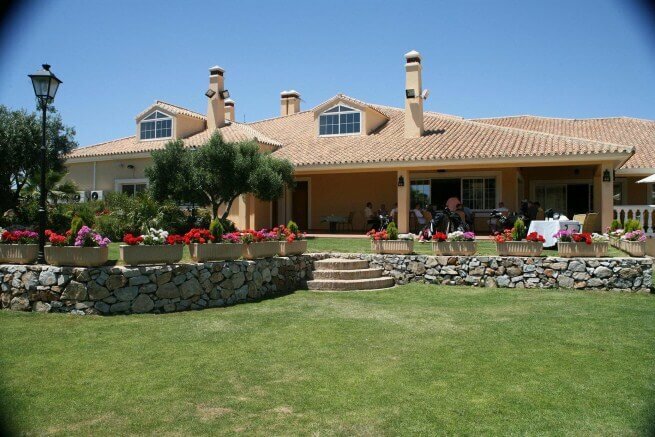 Please take a moment to view our current range of golf packages here in the Costa del Sol, Spain. 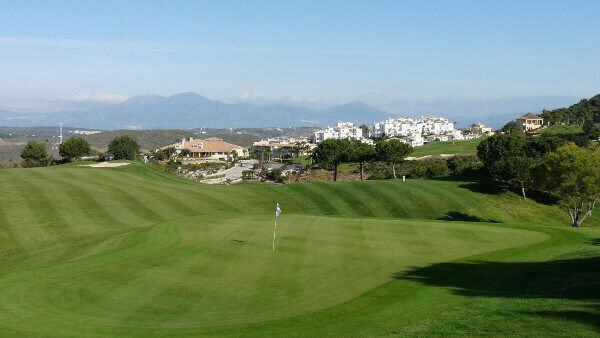 At Golf Breaks in Spain, we also offer high quality golf club hire with clubs delivered directly to Malaga Airport, the golf course or to your holiday accommodation.